The slice shot with the driver is a common shot among amateur golfers. A slice is any shot that curves hard to the right in the air (for a right-handed player). Golfers often find themselves in the woods after hitting a slice. A slice shot is caused by a poor grip and setup, an outside-to-in downswing path and an open clubface. An outside-to-in path occurs when the golfer reaches too far on the downside, bringing the club down to the right of the ball (outside), relative to the target line. This forces him to pull the clubhead closer (inside) to strike the ball on the tee. An open clubface means the clubface points to the right of the target at impact. To eliminate the slice you need the proper grip and setup, an inside-to-out downswing path and a square clubface. After making these corrections you can enjoy a slice-free golf game. Position the ball off the front foot. Grip the club with the left hand first (again, for a right-handed golfer). Position the grip mainly in the fingers of your left hand. With the club grounded, you should be able to see at least two knuckles of your left hand as you look down at the club. Golfers with a big slice should strive to see three knuckles of the left hand. The "V" formed by your left index finger and thumb should point toward your right shoulder. Set your right-hand grip to compliment the left. The "V" formed by your right index finger and thumb should also point to your right shoulder. Position the ball off the inside of your front foot, about even with your heel, to promote an upward strike of the golf ball. 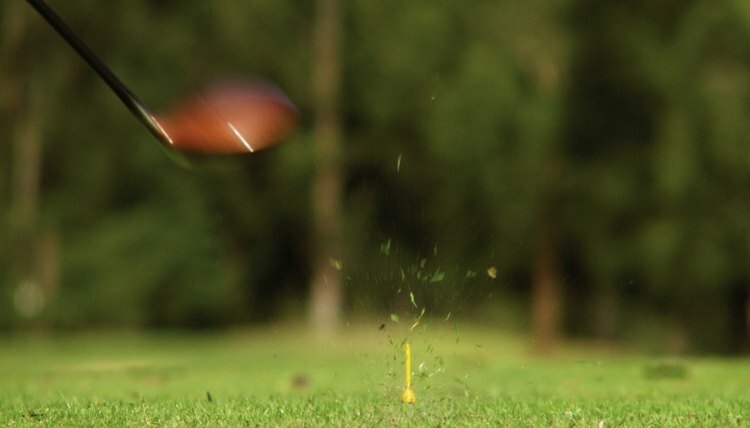 Striking the ball on the upswing will help promote a straighter flight and greater distance. Most slices with the driver result from a downward angle of attack, which produces weak distance and a slicing spin. Set up to the ball with your head a few inches behind the ball to help promote an upward strike. With your head behind the ball and your right hand grip below the left, you'll have a natural tilt in your shoulders at address. The proper shoulder tilt at address will promote a good shoulder turn on the backswing. Rotate the clubhead's toe over the heel after impact. Swing the club back until you see your left shoulder under your chin. Your shoulder turn and backswing are complete once you get the left shoulder under your chin. With the proper shoulder turn you can swing the club down on an inside-to-out path. Swing the club down on an inside-to-out path. Square the clubface by rotating the toe (outside edge) of the club over the heel (inside edge) as you swing through impact. This eliminates an open clubface at impact, which contributes to a slice. Rotating the toe of the club over the heel will straighten out your ball flight or produce a slight right to left flight. 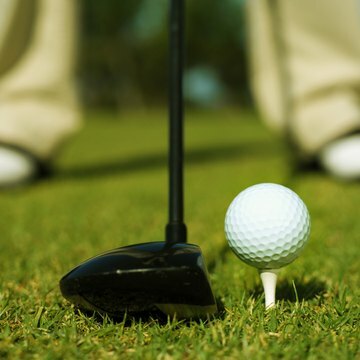 What Is the Physics Behind a Slice in Golf?